At the bottom of this magic incantation bowl from late antique Babylonia, a shackled and bound demon is shown surrounded by the spiraling words of a prayer for protection. It was believed that the written words of the encircling prayer would be able to keep the evil forces in the center of the bowl at bay. Throughout ancient Israelite and Jewish history, authors used writing as a sort of sympathetic magic, a way to directly control and manipulate forces beyond their control. Photo: Hershel Shanks. To the modern world, the written word is often taken for granted. We are so removed from the origins of writing that when we write something, whether on a piece of paper, on a sign or on the internet, we don’t even think about the physical act of creating words. For us, writing is simply a means to an end, an almost primordial and instinctive technology that we use to communicate with each other. In the Hebrew Bible there are clear indications that writing was often thought to have tangible, even magical, properties. In Numbers 5:11–28, a woman accused of adultery is made to consume “the water of bitterness,” a cloudy concoction infused with the washed-off ink from the words of a written curse. If the woman is innocent, the curse will have no effect; if she is guilty, the curse will cause her thighs to waste away and her belly to swell. In a similar vein, when Ezekiel accepts his prophetic mission from God during a dreamlike trance, he eats a scroll inscribed with the words of the divine message (Ezekiel 2:9–3:11). Having ingested the words, Ezekiel and God’s message become one. But just as writing could help an author’s prayers get answered, it could also be used to inflict pain and suffering. Curse inscriptions often protected tombs, monumental inscriptions and seemingly mundane graffiti throughout the ancient Near East, and ancient Israel was no exception. ** In a world where the simple act of erasing an author’s name was tantamount to wiping out a person’s very life and essence, author’s went to great lengths to ensure that would-be vandals and robbers suffered the same fate. Hiram, a tenth-century B.C. king of Byblos, wrote on his sarcophagus that anyone who attempted to destroy his inscription would have their own inscription (i.e., life) blotted out. Likewise, the anonymous author of an inscription found at the seventh-century B.C. site of Horvat ‘Uza in the eastern Negev claimed that if the words of his text were not heeded, the grave of the disobedient reader would be destroyed. Similar ideas about the transformative power of written words continued to persist among the Jewish populations of the Near East throughout antiquity. In late antique Babylonia (third–seventh centuries A.D.), for example, countless ceramic bowls were inscribed with prayers, curses and healing rituals written in the Jewish-Aramaic script. *** The spiraling, cramped inscriptions of the bowls often encircled drawings of bound demons and other evil spirits. Writing, even in this late period, was still invested with the power to bring prayers and curses to life. Check out “Rare Magic Inscription on Human Skull” in the March/April 2009 issue of Biblical Archaeology Review for more information about ancient inscriptions. * Gabriel Barkay, “The Riches of Ketef Hinnom,” Biblical Archaeology Review, July/August September/October 2009. ** Hershel Shanks, “The Tombs of Silwan,” Biblical Archaeology Review, May/June 1994. *** Hershel Shanks, “Magic Incantation Bowls,” Biblical Archaeology Review, January/February 2007. 1. 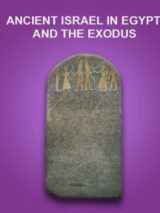 For a thorough overview of the power and uses of the written word in ancient Israel, see Susan Niditch, Oral World and Written Word: Ancient Israelite Literature (Louisville, KY: Westminster, 1996). 2. Niditch, Oral World and Written Word, pp. 46–47. The Oracle of Delphi—Was She Really Stoned? Glenn J. Corbett is associate director of the American Center of Oriental Research (ACOR) in Amman, Jordan, director of the Wadi Hafir Petroglyph Survey and contributing editor at the Biblical Archaeology Society. He received his Ph.D. in Near Eastern archaeology from the University of Chicago, where his research focused on the epigraphic and archaeological remains of pre-Islamic Arabia. This Bible History Daily feature was originally published in July 2012. Why Did Early Christians Prefer the Codex to the Bookroll? David: Why aren’t you asking Michael that question? Marana tha. Beth – you do understand that not everyone shares your religion, don’t you? Why God’s Son is called “the Word.” A title often describes the function served or the duty performed by the bearer. So it was with the title Kal-Hatzé, meaning “the voice or word of the king,” that was given an Abyssinian officer. Based on his travels from 1768 to 1773, James Bruce describes the duties of the Kal-Hatzé as follows. He stood by a window covered with a curtain through which, unseen inside, the king spoke to this officer. He then conveyed the message to the persons or party concerned. Thus the Kal-Hatzé acted as the word or voice of the Abyssinian king.—Travels to Discover the Source of the Nile, London, 1790, Vol. III, p. 265; Vol. IV, p. 76. Recall, too, that God made Aaron the word or “mouth” of Moses, saying: “He must speak for you to the people; and it must occur that he will serve as a mouth to you, and you will serve as God to him.”—Ex 4:16. In a similar way God’s firstborn Son doubtless served as the Mouth, or Spokesman, for his Father, the great King of Eternity. He was God’s Word of communication for conveying information and instructions to the Creator’s other spirit and human sons. It is reasonable to think that prior to Jesus’ coming to earth, on many of the occasions when God communicated with humans he used the Word as his angelic mouthpiece. (Ge 16:7-11; 22:11; 31:11; Ex 3:2-5; Jg 2:1-4; 6:11, 12; 13:3) Since the angel that guided the Israelites through the wilderness had ‘Jehovah’s name within him,’ he may have been God’s Son, the Word.—Ex 23:20-23; see JESUS CHRIST (Prehuman Existence). Michael scripture says that our words have power. Your suggestion that the author betray Christ will come back to haunt you. Why don’t you know that? I believe the answer is that you have been in part blinded. Yes, words are immensely powerful aren’t they? Interesting that you used the test of the law of jealousy as a magic spell. There was nothing magical about the “bitter” waters that is drunk by a wife when her husband suspects that she is unfaithful. It is more about the woman’s guilt in the days and months following that reveals her adultey or not. The thigh rotting and belly swelling refers to either a venereal disease or pregnancy as a result from an extra-martial affair. Moses enacted the law of jealousy (on God’s behalf) on those who took part in the worship of the pagan god by forcing them to drink a bitter water concoction. God, being jealous over His unfaithful “bride” (children of Israel) is the spiritual husband in this situation. But nothing magical happened other than the people revealed their own unfaithfulness in their hearts. And nothing magical happened to a woman who was guilty of an affair other than the passage of time revealing a physical condition. It is not for no reason that we still refer to magic SPELLS. Interestingly, the last comment (by William) indicates a confusion between language — which is spoken — and script or writing similar to that described in the article. Cuneiform was a type of writing, a script. It was used to write several different (spoken) languages. At Amarna in Egypt archeologists have found correspondence between pharaohs and contemporary kings, written in cuneiform script. But I have only read that this was the Akkadian form, not the Eblaite form. The type of cuneiform used at Ebla is the only alphabetic type of cuneiform I am aware of. And as far as I know, the hieroglyphs never turned into an alphabet in Egypt itself. Other people used some glyphs to create scripts for themselves (to write their own languages, not Egyptian). I understand (from Dr. Keneth Harl) that alphabetic writing developed around 2000 BC(E), a millennium earlier than this article stated.. as indicated in cunieform scripts of certain Middle Eastern languages; even rulers of Egypt used cunieform script of alphabetic languages for their international correspondence.. even before their own hieroglyphics were transformed from pictograms to alphabet. Many modern Christians also believe in the power of the word, especially in the “living word” that is the Christian Bible. Jesus is called “The Word” (logos) in the book of John, thus encompassing all God’s power in His creation, which was spoken into being as depicted in Exodus. A study of the Tanakh and the Christian New Testament reveals a culture and dogma that literally ascribes power to the written and spoken word. That idea greatly impacts Western culture, history and government even today. Look at Barack Obama and his use of negative words (lies) to reduce the power of his opponents. It’s all tied together, from the beginning of the alphabet to now. Words have power. Those who recognize it and use it will overcome all enemies. Michael, he knows. It’s clearly intended. In his photo he’s wearing a Pal. kafiya. Between his choice to us BC instead of BCE and the kafiya, I’d say he’s making an anti-Zionist political statement. A very interesting article for which I’m greatly appreciative. I’d like to suggest that, in the future, you use “B.C.E” (before the Common Era) and “C.E.” (Common Era) instead of “B.C.” and “A.D.”, especially when writing about ancient Israel. The latter abbreviations betray a Christian bias, whether intended or not. Thanks. I was aware that the ancient Egyptians employed the term “hekau” which means “words of power” and was used in magical incantations, but I had no idea of its pervasiveness in ancient Israel. We know that shards of pottery were used to write messages and I like to think that the verse from Isaiah 45:9, ‘Let the potsherd strive with the potsherds of the earth” refers to the potential of the internet blogger. A real nice article. Thanks for it and thanx fior the research you had to do.